Intel® VTune™ Amplifier 2014 for Systems is part of the Intel® System Studio suite of tools supporting both the mobile and embedded markets. This article will demonstrate how to do performance profiling on a Dell Venue 8 running Android*. The first step in running VTune Amplifier for Systems on a Dell Venue 8 is to first reimage your system with a new image that includes the necessary support for running VTune Amplifier for Systems. The instructions will lead you through the detailed procedure of reimaging your system. Once you have reimaged your system you will be ready to run VTune Amplifier for Systems. These are the steps to follow to run VTune Amplifier for Systems on a Dell Venue 8 (Click on images below to enlarge in new window). 1. Setup your system as shown above. 4.b. Specify a project name. 4.d. VTune Amplifier for Systems automatically recognizes your device as show below. 4.e. We will be profiling the system in this instance. You can also specify an application or apk to launch. 5. You are now ready to profile your entire system. 5.c. VTune Amplifier for Systems will run a collection on your Dell Venue 8..
5.d. After running for 30 seconds Click Stop. 5.e. VTune Amplifier for Systems will display the results of your collected run. 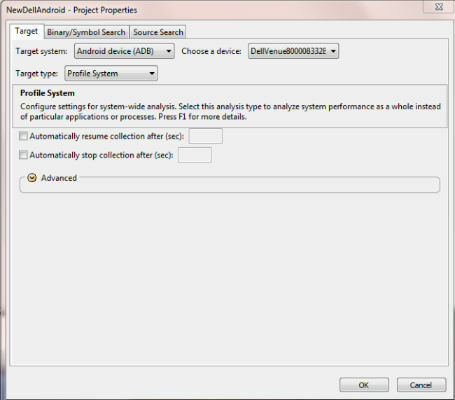 If you are interested in running a power analysis on the Dell Venue 8, the following article explains Intel's Energy Profiler: : How to use the Intel® Energy Profiler in Intel® System Studio 2014. 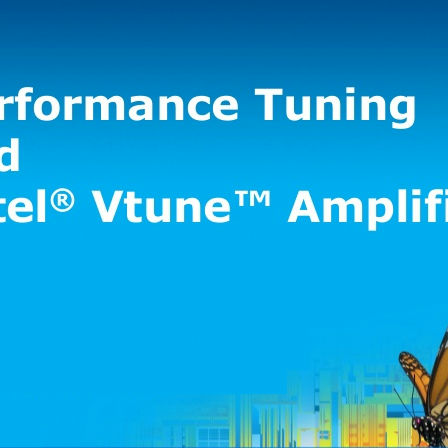 VTune Amplifier for Systems is a powerful performance tuning tool. How to Setup Windows 8 Defender to Automatically Scan on a Schedule ?